So you want to build more muscle? 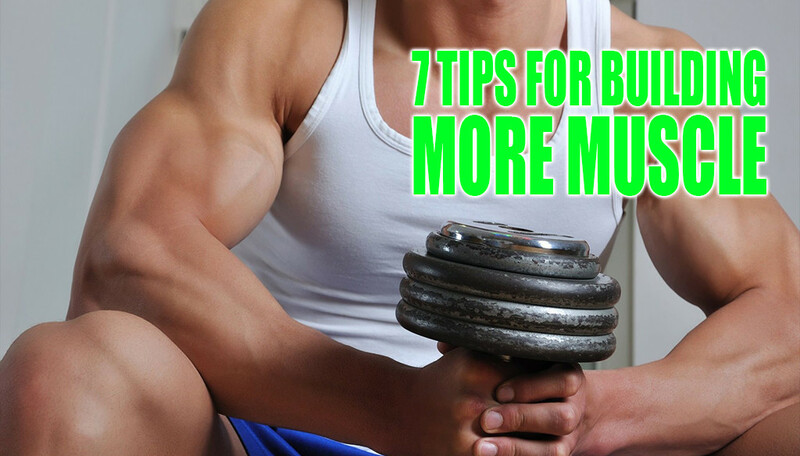 Use these tips lift more and make big gains from your workouts. Only one-third of your muscle fibers are designed for movement and the other two-thirds for balance and coordination. You’ll get more out of your workouts if you do as many of your exercises as possible standing up rather than lying down, sitting or connected to a machine. If you transition your workouts between upper body and lower body days, try to incorporate a typical upper body workout, the curl, into your lower body day. Your muscles that are used during curls will be fresher than they would if used during an upper body day and you’ll also train them more frequently. A study done by the European Journal of Applied Physiology showed that working out on an empty stomach provided twice the muscle growth signals than eating before a workout. A commonly accepted rule for building more muscle is performing sets that are at least 70 percent of your top weight for a particular exercise. If you can easily blast out 20 reps your first set, increase your weight so that you are closer to the 12 rep range or under. If you want to build more muscle body weight exercises like pull-ups or dips are great. For either exercise, do one set until you are completely fatigued first thing in the morning. At night do another all-out set and repeat the process every other day. Keep track of the amount of reps you can do; you should be able to increase your reps by a significant amount in a fairly short time. Related article: Bench Press Grip: How Wide Should Your Bench-Press Grip Be? Add together the total amount of reps you are doing for a particular exercise. If this number is around 25, it is likely that you’ll see muscle gains. For example, five reps of five sets, six reps of four sets or eight sets of three reps will get you around this 25 total rep range. When working out on the bench press or overhead press, squeeze your glutes during your entire set. This will stabilize your torso and allow you to lift more.